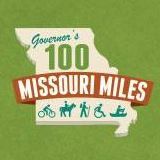 Missourians with a hankering to do so can now pleasantly stroll or bike across the state, from Pleasant Hill to St. Louis, on strips of land once used for hauling freight across the nation. Gov. Jay Nixon cut a ribbon Saturday on a 47.5 mile hike-and-bike trail linking Pleasant Hill, southeast of Kansas City, to the Katy Trail State Park, a meandering path of abandoned railroad land reclaimed for use by the state. “You’ll be able to go 287 miles on an incredible asset,” Nixon said before cutting the ribbon and taking a walk down the trail with more than 100 well-wishers. For decades, it seemed unlikely the Kansas City area would ever connect with the Katy Trail. But Pat Jones never lost hope. “I won’t consider it complete until it goes from border to border,” the woman who made the trail possible told a Star reporter two decades ago. “One way or the other,” she said, the Katy had to connect St. Louis with Kansas City. Now, Nixon said, the trail is “eerily close” to reaching that goal. If everything goes right, Jackson County will extend the path to the Truman Sports Complex by 2018.